Can Living Healthy Kill You? 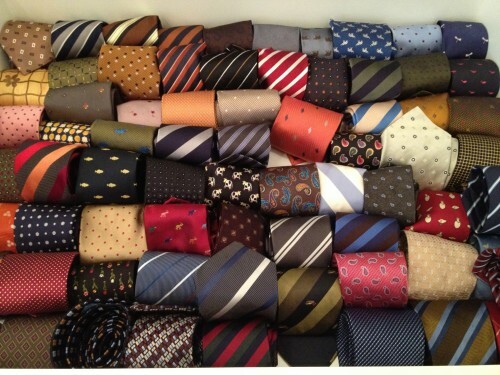 Funny video on healthy living, putting it in some perspective……..
Mirror Mirror on the Wall: What Tie Should I wear? Been faced with this question almost every morning this video got my attention. Not only can it advice you on your tie but it can also update you on your health. It can read the headlines which you can transfer to your phone for reading later. Interested, view the video for all the capabilities of this magic mirror. Which tie an unimportant question for you? Not for me, and this is just the first drawer…. Strapped to a jet-powered wing, Yves Rossy is the Jetman — flying free, his body as the rudder, above the Swiss Alps and the Grand Canyon. After a powerful short film shows how it works, Rossy takes the TEDGlobal stage to share the experience and thrill of flying. In the eastern province of Van in Turkey an earthquake reduced many of its buildings to rubble on Sunday, Oct. 23. A two-week old baby girl, her mother and grandmother were rescued in Ercis on Tuesday. 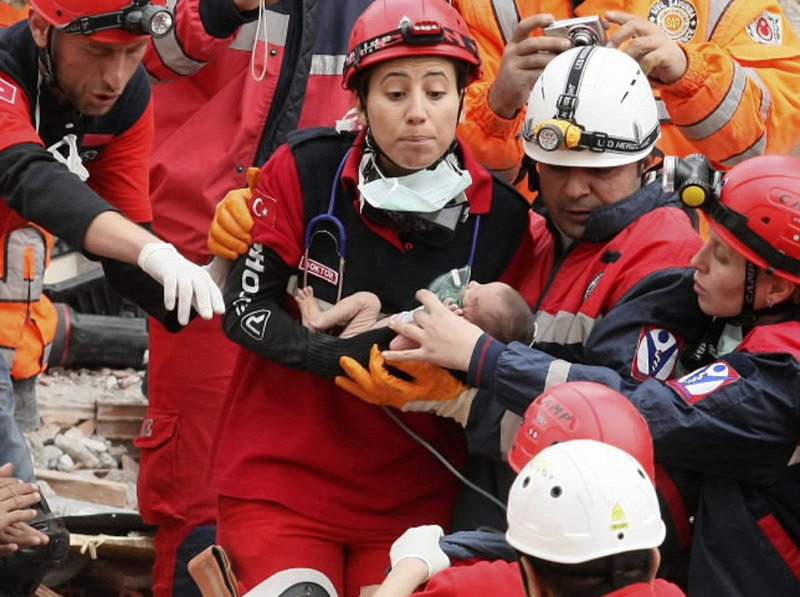 On this picture from The Turkey earthquake , something drew my attention. See the women faces and their direction compared to those of the men. The left tries to make contact by facial expression. Women aren’t from Venus as men are not from Mars, nevertheless when it comes to babies their connection becomes very different both gender in their own way busy with the rescue of this little creature. Last year I expressed my love for the autumn season in a blog post with autumn songs. A lot of suggestions came in the comments. So I decided to include those suggestions in this year’s tribute to autumn. Keep those suggestions of autumn songs coming in the comments for another post next year. This is the wonderful song “Old Irish Blessing” by Denes Agay. A beautiful song that Kate Bush recorded and released as the b-side of the 12” version of “Cloudbusting”. The song is a traditional Irish folk song with new lyrics written by her brother John Carder Bush. Impressive memorial and video, no more words required.